Dr. D.Nagasamy Venkatesh is Assistant Professor at Department of Pharmaceutics, JSS College of Pharmacy, Udhagamandalam. India. Dr. D.Nagasamy Venkatesh is interested in developing certain nanobased drug delivery systems for antiviral and anticancer drugs. His research is also involved in developing sustained/controlled drug delivery systems for certain drugs and analytical and bio-analytical method development for drugs. He serves as a reviewer of more than 25 peer reviewed journals including AAPS, Carbohydrate polymer, Indian Journal of Pharmaceutical Sciences. He serves editorial board member for more than 20 international journals. 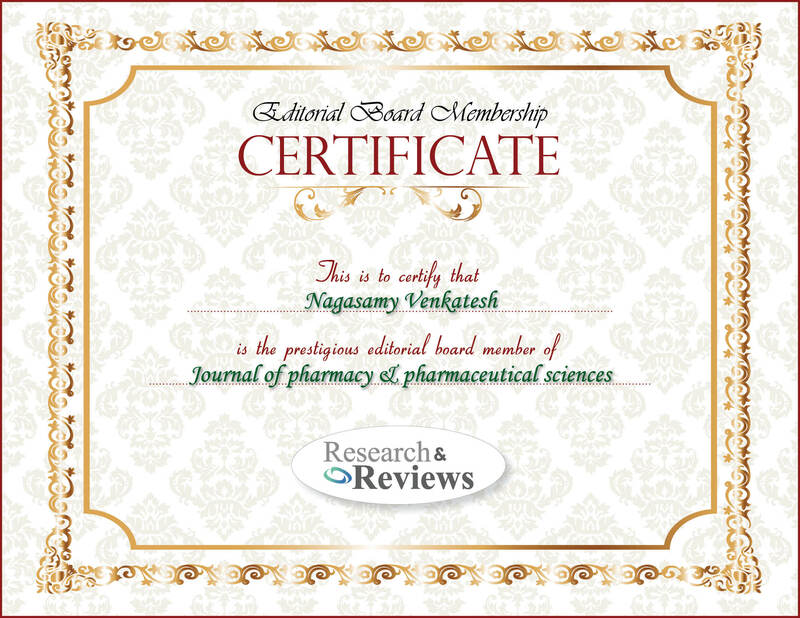 Dr. D.Nagasamy Venkatesh has authored more than 50 peer-reviewed publications. He has received two awards for his presentations/publications in a national level seminar. Formulation and development of oral sustained release dosage forms. Dissolution enhancement of poorly soluble drugs by solid dispersion techniques. Development and evaluation of nanoparticulate drug delivery systems.